I was recently interviewed by Hong Kong’s HK01 news media on the judging of WMA Masters award along with co-jury member Abby Chen, Curator and Artistic Director at the Chinese Culture Foundation of San Francisco. The original interview, published in Chinese, is available here: 【專訪】WMA攝影獎評審：今年作品呈現更強的新聞紀實. I found Abby to be brilliant and insightful during jury deliberations so do read her answers. My interview is available in English below. Can you talk about what criteria you use in judging? What elements in your view should a good image/photo have? How were the finalists selected? I have a simple pragmatic way of assessing work on 3 points which I use in my workshops, portfolio reviews etc. I call it CPR Assessment – Craft, Point and Rigour. That is, how well crafted the work is, how strongly the point of the work relates to the theme, and how rigorous the work explores its possibilities. Specifically to the theme, I was drawn to less obvious interpretations. Mobility is very accessible a theme, which is great. But some might fall into the trap of approaching it too literally – depicting rather than dialoging what mobility means to them. 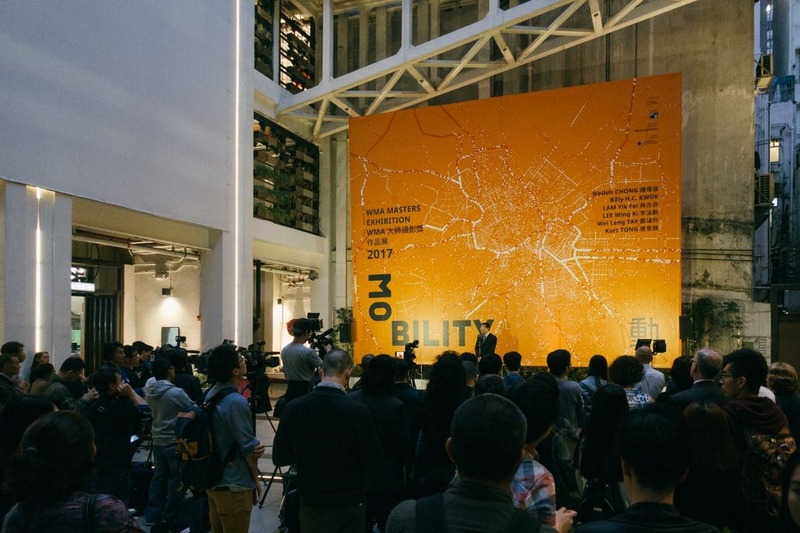 Abby Chen lives in SF and Kevin Lee in Singapore, both living environments and economic situations are quite different to HK, when you judge these works, are there any different considerations that you take into account? All works are not made in a vacuum. They reflect the times they were made and all concerned work contain all kinds of symbols of local desires and anxieties. Human desires and anxieties are universal, but the symbols may differ. So I try my best to familiarise myself with local symbols and gestures and also see how the artist may have responded to his/her environment and times, and intellectualised them in the work. Abby Chen has experience in public art, and Kevin in organising photo festivals and in visual arts, with these different backgrounds, do judges look at works differently? Yes, of course. I think everyone has different points of views and advocacies based on their experience, interest and concerns. But I think we have a wonderful, diverse panel and everyone had value and perspective to offer. There was debate and negotiation, but it was all done in a generous spirit. The point of a panel is to have diverse viewpoints. It would be a pointless effort if all the judges were a mold of each other. How different are this year’s work in terms of story, technique, angle etc, and which one leaves an impression with you? This is my first year as a judge so I was not privy to looking at all the work at previous years. However, I do see a stronger showing of photojournalism and reportage this year as compared to previous years’ finalists. I am personally delighted to see this as I believe they should be part of the conversation, especially in current “post-truth, fake news” times where credible journalism is being interrogated. What impact or power do you think photography has in the world? And what’s the point of holding this type of award? Could you comment on the previous awards? I don’t feel photography needs to be overtly ambitious in assuming impact or power. And in any case, impact and power are impossible to measure. Photography has a part to play in adding to a cumulative effect towards influence and change. The point of these types of awards, aside from recognising and encouraging good photography and artists, is to survey and log our times. We can also say it adds balance to the way the world measures value by giving art and culture due currency. During the opening of WMA Mobility Exhibition on 13th April 2017 at Comix Home Base, Kurt Tong and Tay Wei Leng were announced as joint award winners. Xyza Cruz Bacani was awarded the commission. HK01 interview, published in Chinese, is available here: 【專訪】WMA攝影獎評審：今年作品呈現更強的新聞紀實.